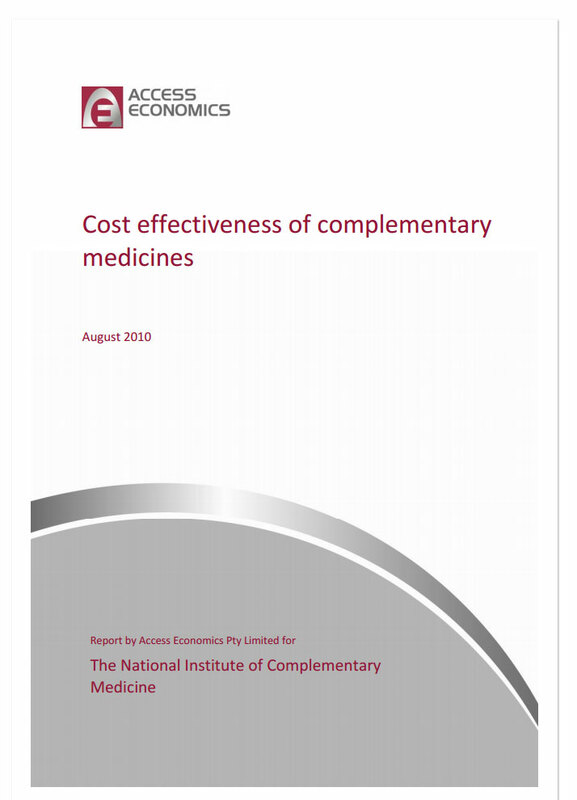 A NICM study into the cost-effectiveness of complementary medicine in Australia has found that millions of dollars in healthcare costs could be saved without compromising patient outcomes if complementary medicine is more widely used. Four of these interventions proved cost-effective or cost-saving under particular scenarios. This work is copyright. The Copyright Act 1968 permits fair dealing for study, research, news reporting, criticism or review. Selected passages, tables or diagrams may be reproduced for such purposes provided acknowledgement of the source is included. Permission for any more extensive reproduction must be obtained from Access Economics Pty Limited through the contact officer listed for this report. While every effort has been made to ensure the accuracy of this document and any attachments, the uncertain nature of economic data, forecasting and analysis means that Access Economics Pty Limited is unable to make any warranties in relation to the information contained herein. Access Economics Pty Limited, its employees and agents disclaim liability for any loss or damage which may arise as a consequence of any person relying on the information contained in this document and any attachments.